If you would like the current brochure sending out please get in touch via our contact us page and we will get one posted out as soon as possible. A simple, easy to use, shopping directory where you can earn money from shopping online. Simply register, login and access your favourite online sites via easyfundraising to earn a commission for the Ally Cadence Trust for SMA. The retailers include Next, EBay, Argos, Tesco, John Lewis, Debenhams and HMV. 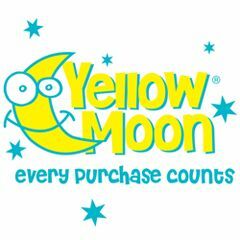 You will generate a free donation for us of up to 15% of the purchase price every time! It really is that simple! It doesn't cost you a penny more to shop and raise funds this way. 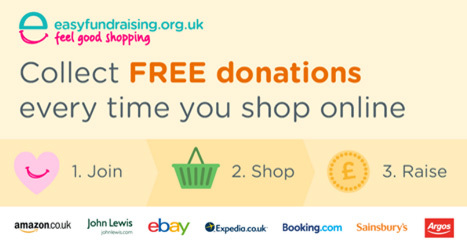 In fact you can even SAVE MONEY as many retailers give exclusive discounts, special offers and even 'e-vouchers' when you shop through the easy fundraising site. There are ways of earning money for free so you do not have to spend anything to help us raise money. Simply click the image above to sign up and start raising much needed funds to help families affected by Spinal Muscular Atrophy.